← Walk to D’feet ALS! It was a very eventful weekend for the Eagle family this past Labor Day. 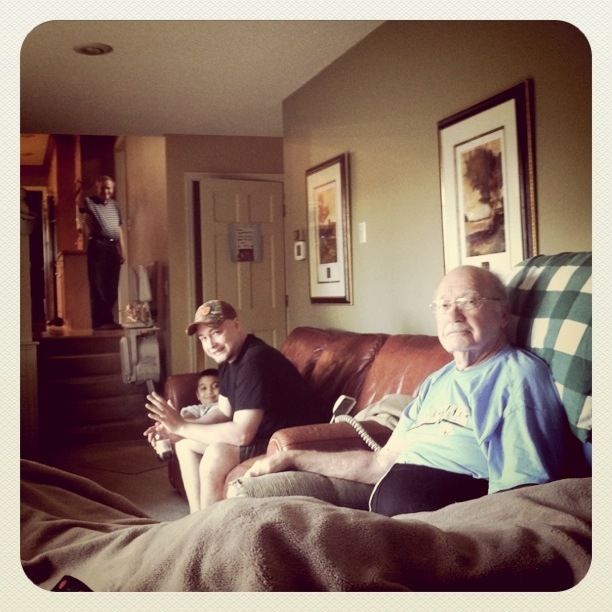 Our first exciting bit of news is that our Grandpa Kast (my mom’s dad) is now back in MN after a summer in the hospital and rehab down in Florida. This has been quite a feat getting grandpa to agree to come home and move into an assisted living home. I know that my mom has many friends going through this same situation with their parents. I think that all the baby boomers have parents that are hitting the same age. And they are all complaining about how they refuse to live through another Minnesota winter. My grandpa doesn’t really understand that we believe his move is permanent, so we are praying he will adjust well to his new living quarters. 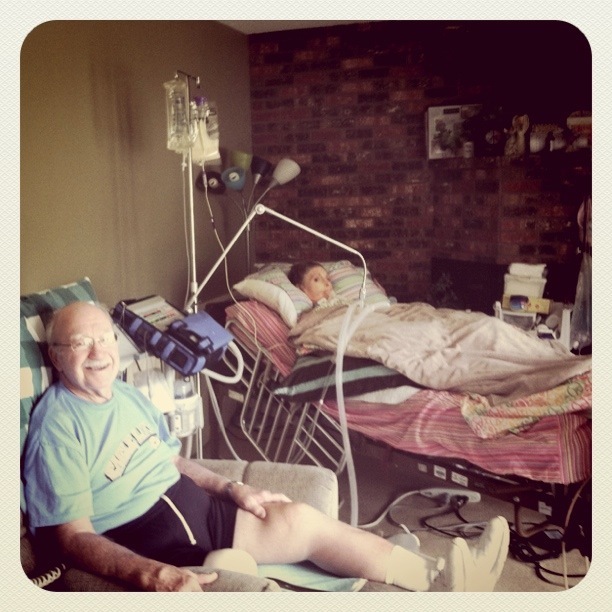 It will be SO WONDERFUL getting to see our Grandpa Kast year round. My mom has really missed him over the past years since she was not able to fly to Florida for a visit anymore. My aunt Sam & Grandpa came over for a long visit on Saturday, and then came back on Sunday and had a family barbaque with us. Nathan also brought his boys over. Don’t you just love family gatherings? Last Friday my dad took the day off & we went to see “The Help” for a second time (for my mom and I that is). Jenna was able to join us & then we headed to Biaggi’s for a fun dinner after. It is not often that we get to do dinner and a movie as a family. 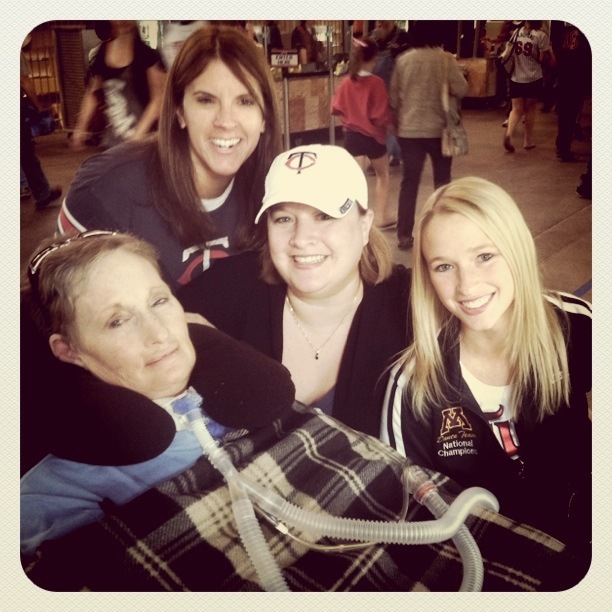 Yesterday we went to the Twin’s game with Jenna & Catey. Catey is our friend that also helps us out. 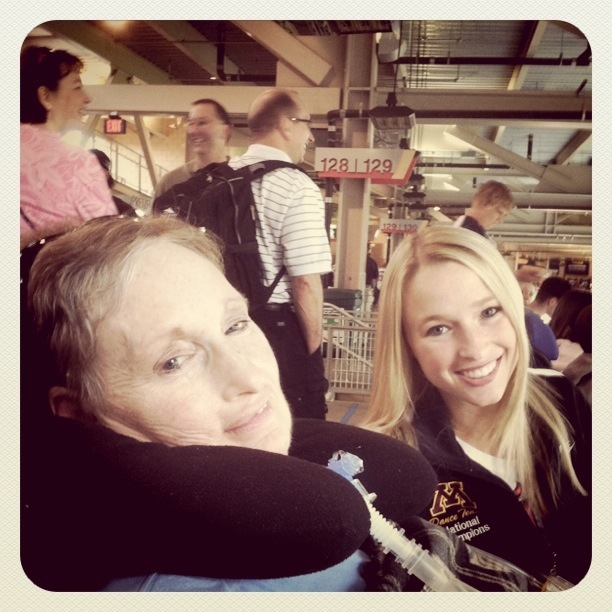 The ALS association sent her to us…and we thank God that they did! 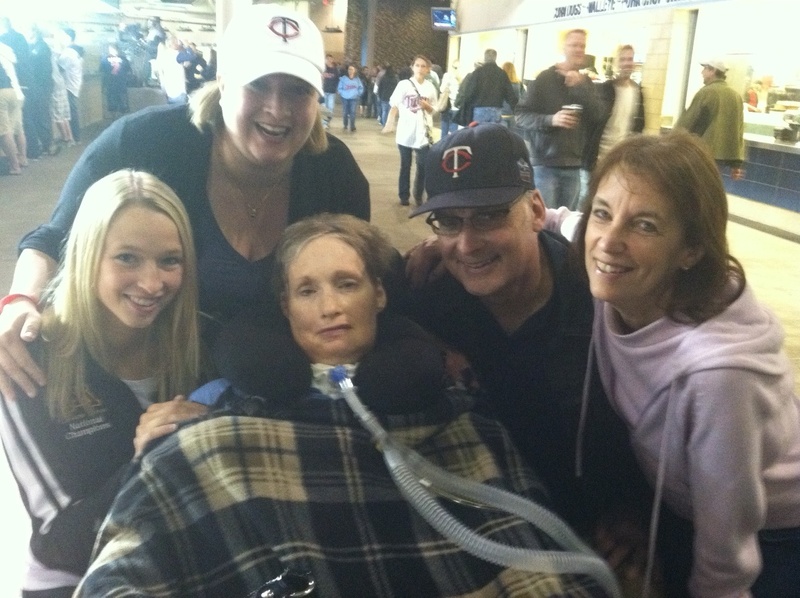 She got us Twin’s tickets through her employer, our healthcare company, “Agewell” so my mom could be sent as “a wish”. This was a makeup game from back in June, so we were glad to finally see the players in action. Most people that know my mom know that she is a HUGE baseball fan! We ran into a bunch of friends (including my mom’s brother John) while we were there. It was a great night! We found my mom's brother John & his friend Barbara! And on a final note…it is not too late to join our team for the ALS walk or support us with a donation! If you are interested….click here. Thank you again for all of the love and support!